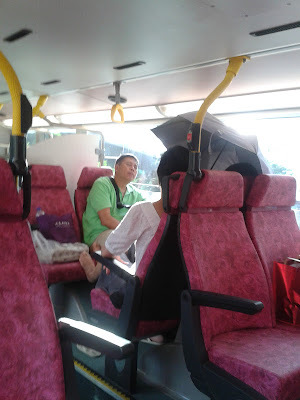 ...someone using an umbrella inside a bus? Quite a flash train, eh? Where was the destination? Must have been out in the country where the trains are not in tunnels. Am glad that it was SUNNY, too! Hahahaha! Wouldn't want to get sunburnt! Love it!